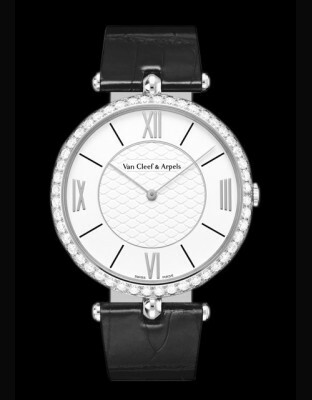 The History of Van Cleef & Arpels Femininity, glamour, elegance… The style of Van Cleef & Arpels has remained instantly recognizable among all others. 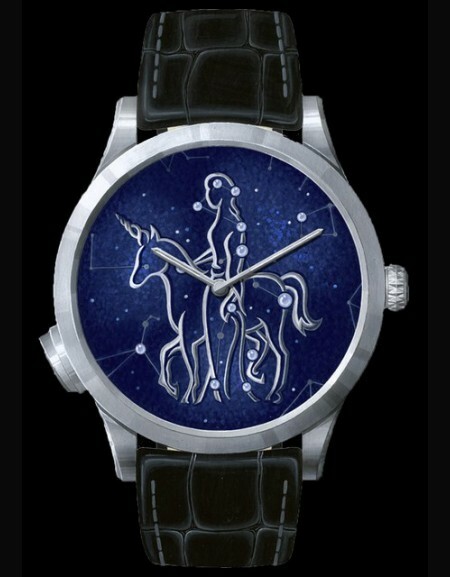 And when a jeweler chooses to turn his attention to the universe of timepieces, he bestows it with his taste for magic and with all his expertise. 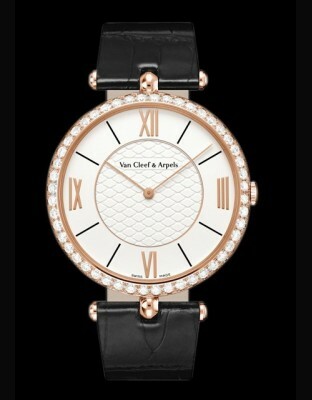 Van Cleef & Arpels Timepieces: a story that begins in the early 20th century. 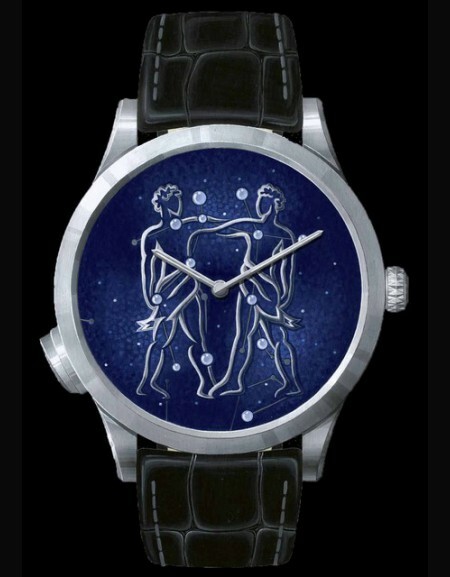 1896 : Mariage of Estelle Arpels and Alfred Van Cleef. 1906 : Alfred and his brother-il-law Charles found Van Cleef & Arpels and move into the pretigious Parisian boutique at 22 Place Vendôme. 1908 : Julien Arpels joins them. 1913 : Louis Arpels enters the family business. 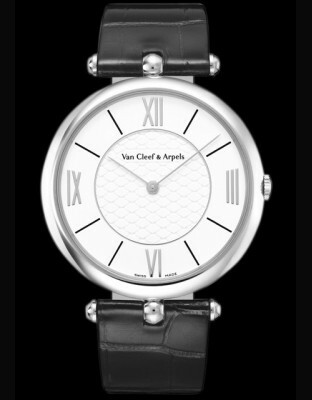 As the watch became an essential accessory during the twenties, Van Cleef & Arpels used all of its imagination and ingenuity to transform this object into the most luxurious piece of jewelry. 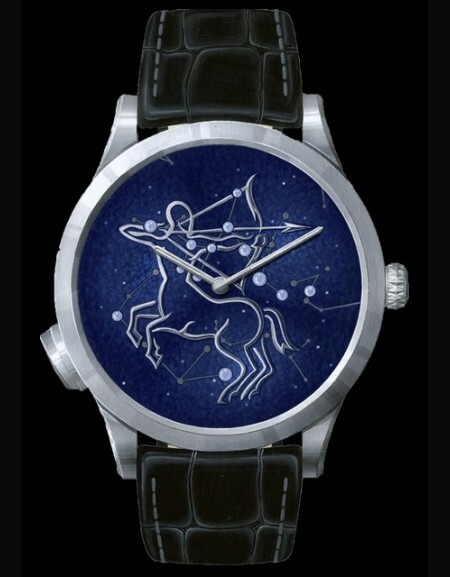 1926 : The design collaboration between the designer René Sim Lacaze and Renée Puissant, daughter of Alfred Van Cleef and Estelle Arpels, begins in 1926. 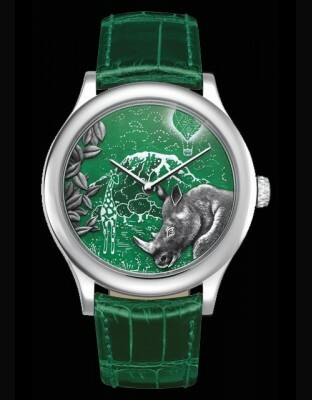 The next two decades are a highly creative period for Van Cleef & Arpels. At the end of the twenties, pendant, chatelaine or "Régence" watches were being supplanted gradually by the bracelet watch, which was considered more functional. It became a precious object to the extent that it was worn with evening dress, in conjunction with other bracelets. 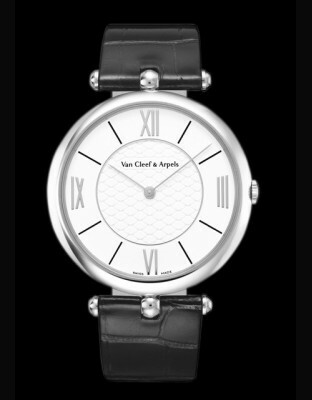 1932 : Claude, the oldest son of Julien Arpels, becomes the first member of the second generation to join Van Cleef & Arpels. His brothers Jacques and Pierre enter the company in 1936 and 1944 respectively. 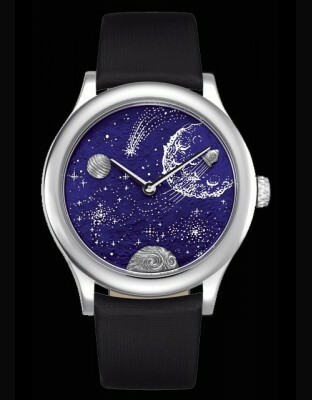 The Cadenas timepiece, created in 1936, combined creativity, functionality and formal beauty. The geometric nature of the Cadenas, much in vogue in the nineteen-thirties, has come to the fore again in the designs of the twenty-first century. 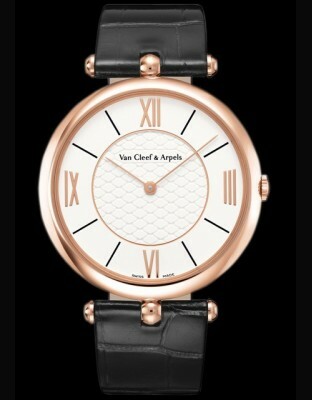 Van Cleef & Arpels is the creator of a unique model, whose creative and emblematic design appeals throughout the years. As it is told, the Duchess of Windsor was its inspiration. 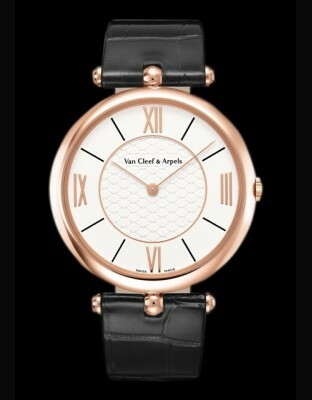 Since then, it has become a timeless addition to the Van Cleef & Arpels colleciton. In the first years of the last century, no elegant woman could wear a watch on her wrist when in society, nonetheless be seen to look at it for the time. Van Cleef & Arpels Cadenas timepiece was thus designed as a bracelet of original design, that had the appearance of a watch only in the eyes of its wearer. 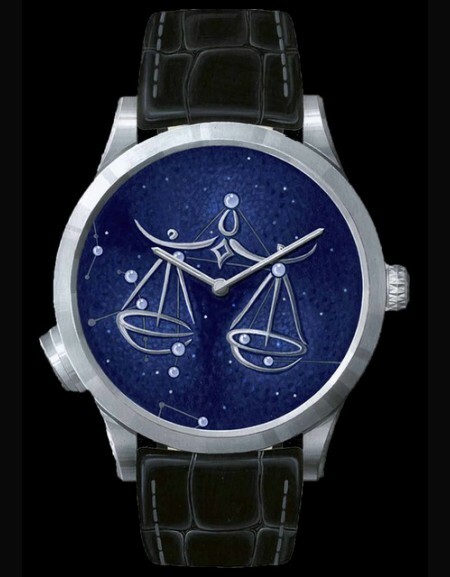 This watch represents two symbols of the House : To attach is to join. Two families, two names, interlocked as one in the symbol of unity… The Cadenas timepiece is a visual play on the theme of the padlock. An outstanding design and a symbol of Union. 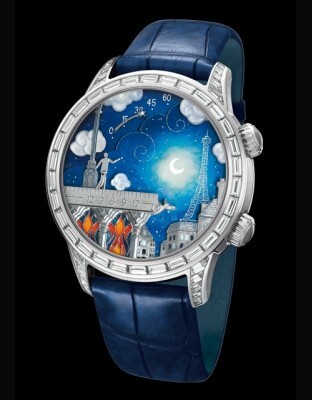 1939 : Claude Arpels crosses the Atlantic and opens a Van Cleef & Arpels boutique in Rockefeller Center in New York. 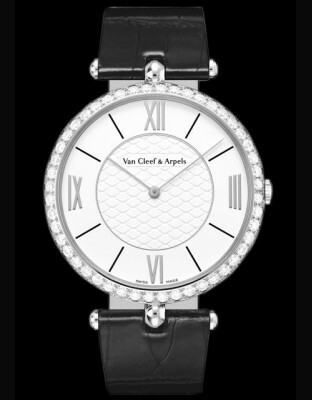 Van Cleef & Arpels becomes one of the first European luxury firms to move to the New World. The boutique soon moves to its definitive address at &$$ Fifth Avenue. Throughout the forties and fifties, ladies' bracelet watches would sometimes be embellished with motifs from the jewelry collections such as woven gold to imitate basketwork or braid, guilloché or chased gold. 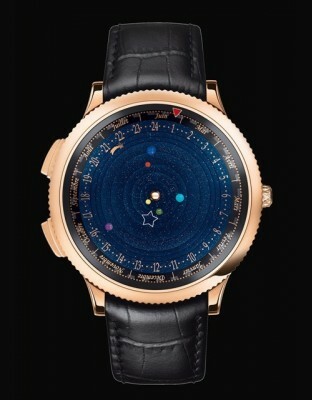 From the bast diversity of the collections, we might pick out those models created in 1953, composed of little leaves in gold and brilliants, or faggots in gold bound with a cord threaded througt loops set with brilliants. 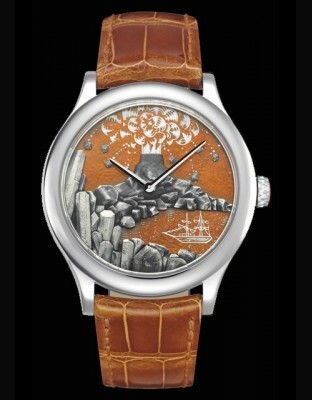 In the fifties, precious wood was once again combined with gold in bracelet watches, for both men and women : these were reintroduced in the seventies. 1948 : Van Cleef & Arpels strives to capture nature at its most beautiful, where its vital force and fragility co-exist in harmony. 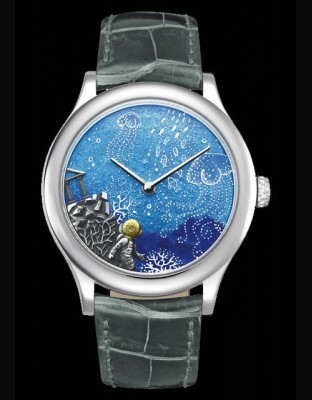 The Snowflake Collection, which made its debut with the Cristaux de Neige Clip in 1948, and the Guirlande de Lierre Clip (1946), a special order created in 1946, are perfect examples of this harmony. 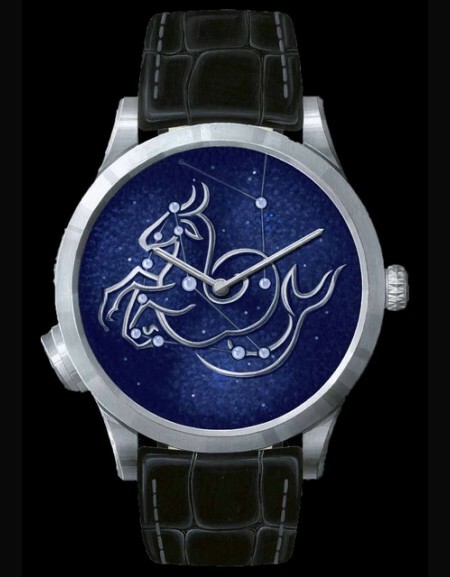 1949 : Pierre Arpels created the simple and elegant casing with its subtle and cenral decorative attachment to the wristband, an innovation in the world of watch-making that was to become the signature of the Van Cleef & Arpels design.
' 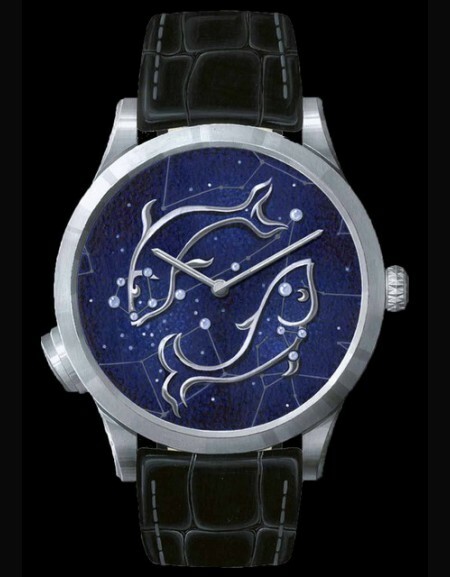 It had to be an exceptional piece' - A historic timepiece, made by one man: Pierre Arpels. Such was his wish for a timepiece of unique and exceptional quality, that he designed it himself. 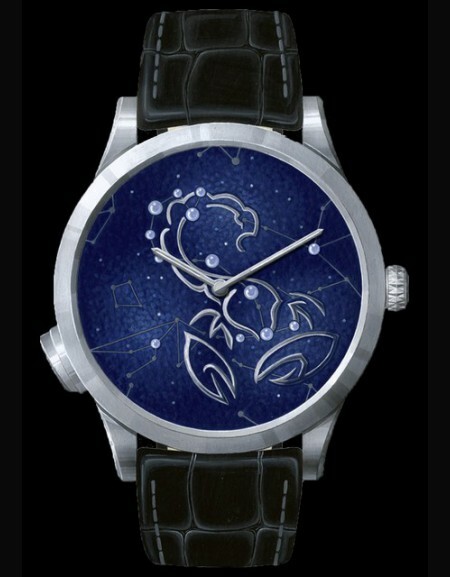 There soon followed a square version of the design as well as further enhancements of the original elegance and refinement. 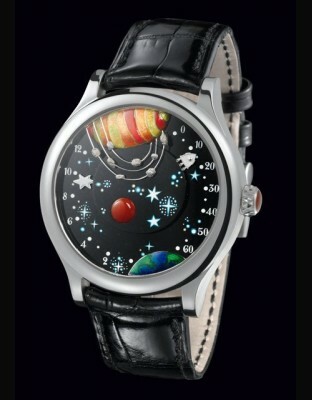 During the seventies, sophisticated watches were very much in fashion. 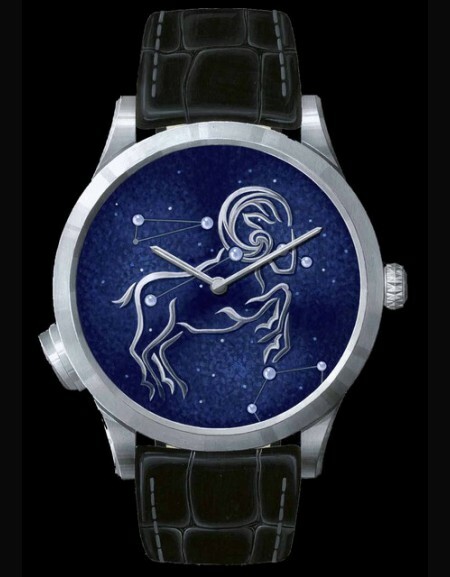 While always retaining the famous central fastening, the creators revived the skeleton watch whose mechanism was visible within the watchcase, which was of gold and often set with brilliants or colored precious stones. 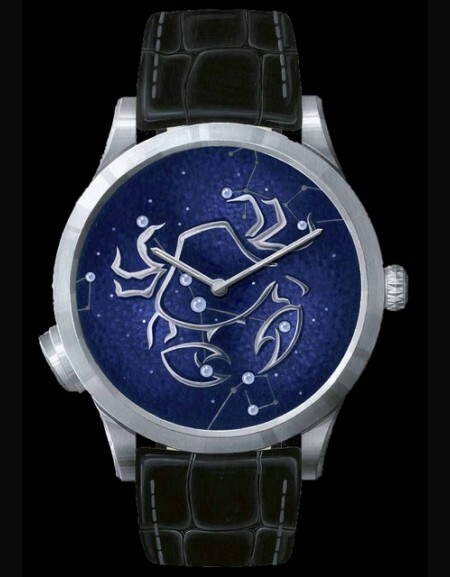 There were also 'perpetual calendar' watches for which lapis lazuli was used to illustrate the phases of the moon and the cases and dials were made in mother-of-pearl, ebony, slate or tortoise-shell. 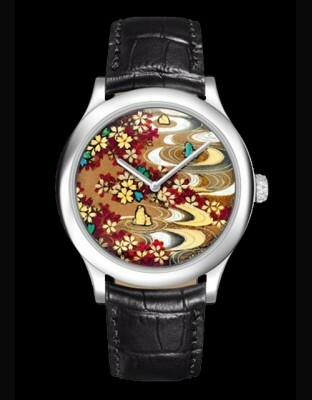 1974 : The multicolored Alhambra Collection is launched. It reflects perfectly the pop culture of the 70s. 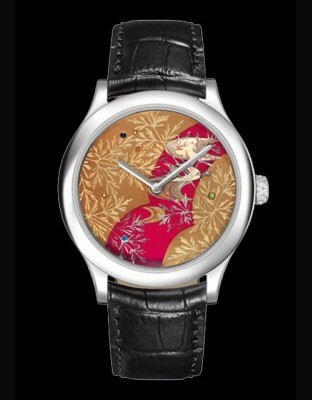 The Alhambra becomes one of Van Cleef & Arpels's signatures. 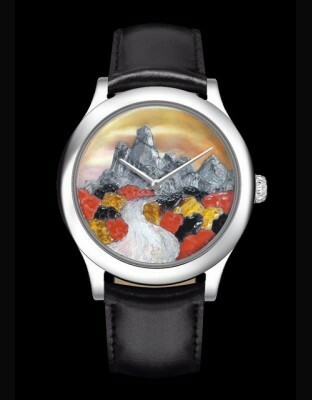 1992 : The Musée de la Mode et du Costume in Paris organises a Van Cleef & Arpels retrospective. 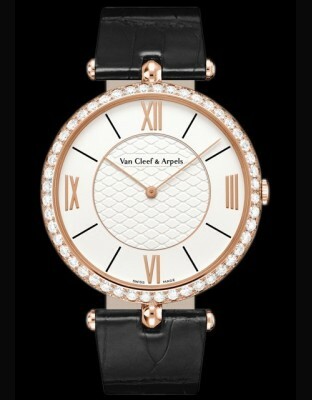 This is but one of the many mentions and awards Van Cleef & Arpels has received since its founding in 1906. 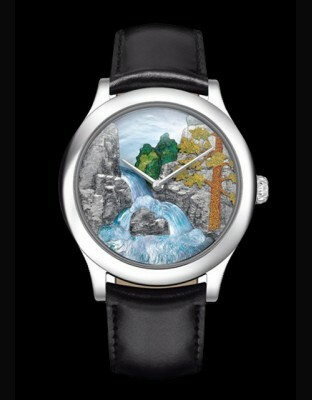 The timepiece is a new art form. Once containers of jeweled bearings, today's timepieces are jewels in their own right. The elegance and perfection of their inner mechanisms are valued for their ornamental beauty, reflecting the taste and culture of the wearer. 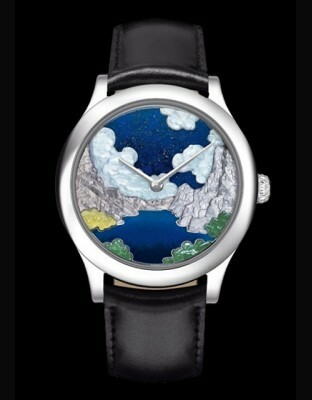 Van Cleef & Arpels rises to this new artistic challenge by exploring ever wider realms of creative timepiece design. 2000 : As a key figure of fashion trends, Van Cleef & Arpels does not hesitate to commit some of its timepieces to fashion designers. Viktor & Rolf (2003), Karl Lagerfeld Gallery ( 2004 & 2005) and Gaspard Yurkievich (2001) have thus associated some creations by the House to their own collections on the occasion of their fashion shows.